Breakfree Adventures Pvt. 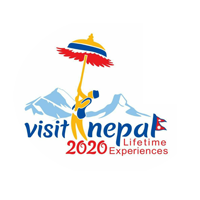 Ltd. is a government certified travel and trekking company registered with the Ministry of Tourism, Nepal Government. As active members of Trekking Agents Association of Nepal (TAAN) and Nepal Tourism Board (NTB), our team comprises of fully trained and licensed professionals that have many years of experience in organizing trekking excursions in the Himalayan regions of Nepal and Tibet. We also conduct travel and trekking tours in conjunction with our partners in neighboring Tibet, Bhutan and India in order to provide our clients with localized expertise in all regions. The team at Breakfree Adventures has a steadfast commitment to providing our clients with a safe and eco-friendly trekking experience in the Himalayas and surrounding regions. Whether organizing trekking, tours, climbing, rafting, jungle safaris etc, we strive to go above and beyond our customer’s expectations by being available 24/7 to help clients with any questions or concerns throughout the entire travel process. Providing sustainable and environmentally friendly methods of travel is one on our organizations chief concerns. All the staff members at Breakfree Adventures are required to attend KEEP, ACAP, TAAN, NTB and IPPG courses on sustainability and to practice the methods prescribed to keep the environmental impact of our clients/guides to an absolute minimum. Similarly, we know the extreme importance of keeping the highest hygienic standards for the safety and satisfaction of our valued guests. Apart from maintaining the highest in eco/environmentally friendly standards, ten percent of the proceeds from all Breakfree Adventures are given directly back into our affiliate volunteer organizations. Being that so many of our clients have contributed and benefitted from the volunteer programs in the Himalayan region, our organization makes sure that our affiliate volunteer organizations have the funds they require in order to continue to thrive. With more than ten years of experience in the travel industry, Breakfree Adventures believes that all of our clients should be able to have the experience of a lifetime, on their terms. We know that one size does not fit all, so our aim is to work within our customers’ specific needs and budgets to provide them with an entirely customized travel experience. Our commitment to customer satisfaction and cost efficiency makes Breakfree Adventures your ideal travel partner.